Inventing the Enemy uses stories of personal relationships to explore the behaviour of ordinary people during Stalin's terror. Communist Party leaders strongly encouraged ordinary citizens and party members to 'unmask the hidden enemy' and people responded by flooding the secret police and local authorities with accusations. By 1937, every workplace was convulsed by hyper-vigilance, intense suspicion and the hunt for hidden enemies. Spouses, co-workers, friends and relatives disavowed and denounced each other. People confronted hideous dilemmas. Forced to lie to protect loved ones, they struggled to reconcile political imperatives and personal loyalties. Workplaces were turned into snake pits. The strategies that people used to protect themselves - naming names, pre-emptive denunciations, and shifting blame - all helped to spread the terror. 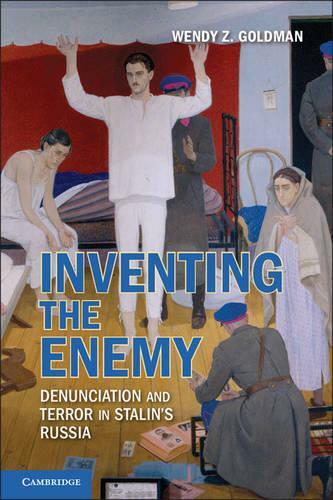 Inventing the Enemy, a history of the terror in five Moscow factories, explores personal relationships and individual behaviour within a pervasive political culture of 'enemy hunting'.